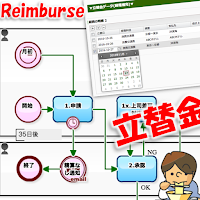 In this Workflow, the accounting department corrects the "out-of-pocket expense information entered by the applicant". 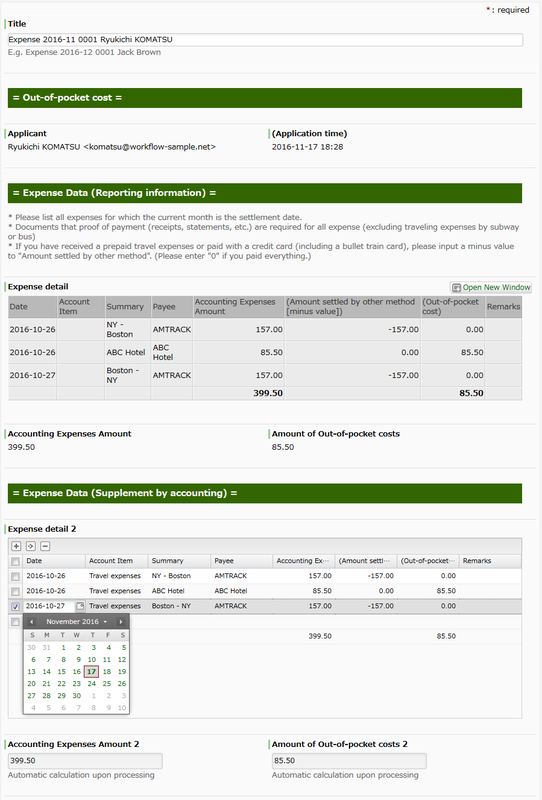 However, the application data (expense detail table) is automatically duplicated, and the contents of edits by the accounting department can be confirmed later. For example, in cases such as having corrected "account item", it will contribute to the applicant's future reference. 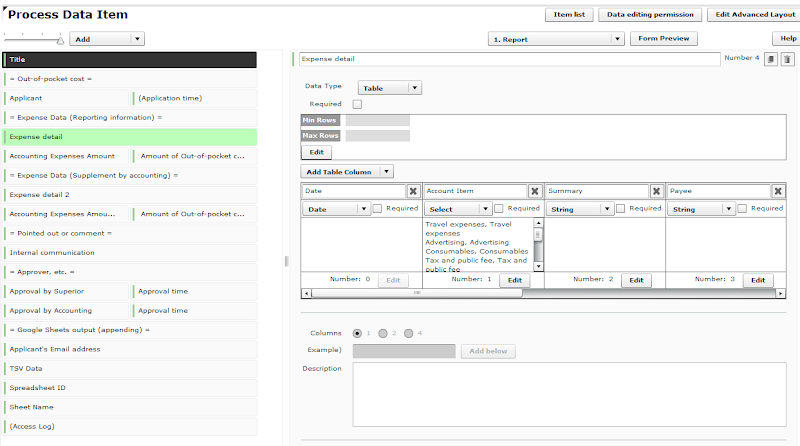 Incidentally, a peculiar "data type" referred to as "table type data" is used in this Workflow. 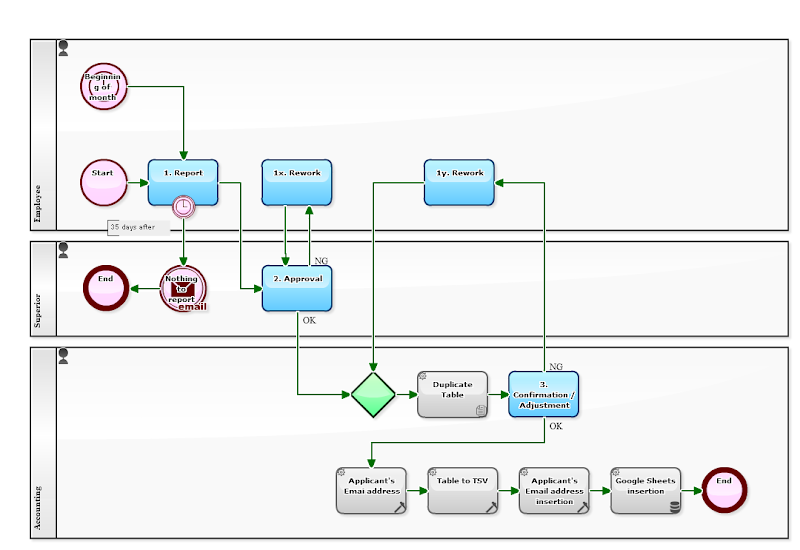 In Workflow products, several "data types" are defined according to business. Likewise in "Questetra BPM Suite", a Cloud-based Workflow, various "data types" such as "String type data" and "Date type data" are available. "Date column" appears in "Table type data" defined here. This "date column" is a feature that becomes available on and after Questetra v 11.2 (2016 - 11 - 28). For inputting the table, the input support tool of "Calendar input" is displayed. It's quite useful. 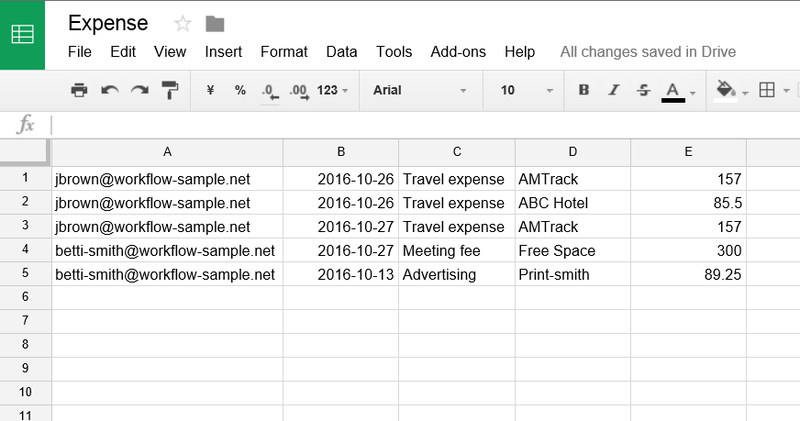 In addition, with this Workflow, the "expense detail" applied by each employee is automatically aggregated into one Google Spreadsheet. 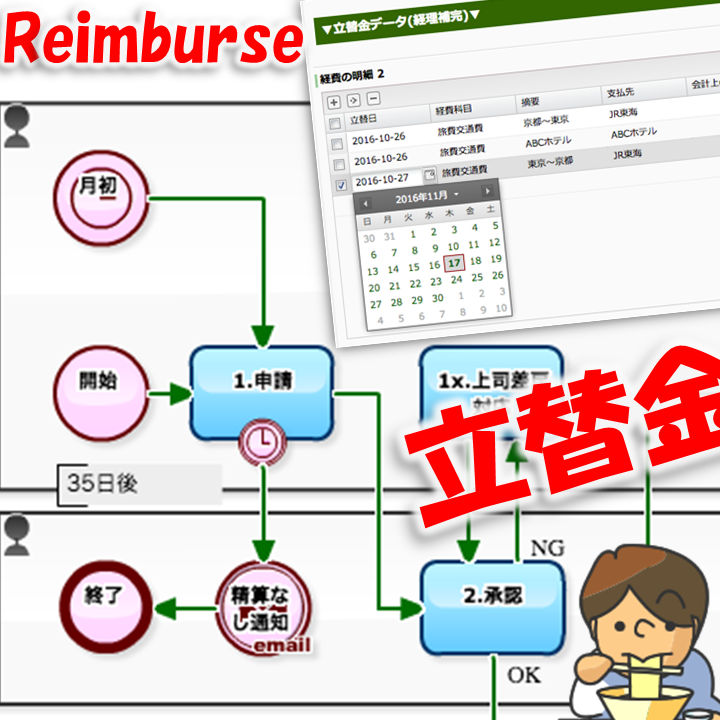 Among various original automatic Steps that have been added, the fact that the applicant's email address to be automatically added to the leftmost column is a consideration to make the totaling work easier. It can be said that it is excellent.